In addition to the many rooms at The Esmeralda Inn, we also offer private Chimney Rock cabin rentals for those looking for a more private rustic getaway. The area boasts beautiful landscapes and natural landmarks including the Rocky Broad River, Hickory Nut Falls, the Hickory Nut Gorge and more. 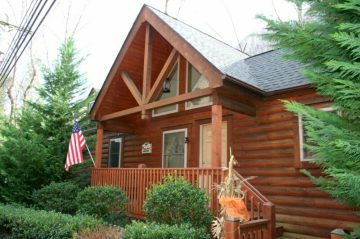 Our Chimney Rock, NC cabins are the perfect lodging option to experience them all! We offer four different cabins in Chimney Rock; all located only a short distance from the Inn ranging from one to three bedrooms. Two of the cabins are located along the river, while the other two are just steps from the Inn. All of our Chimney Rock cabin rentals come equipped with full kitchens, cozy fireplaces, and beautiful views from every vantage point. Our Chimney Rock, NC cabins are both luxurious and rustic, creating the perfect authentic balance. 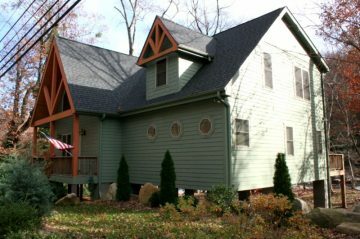 Enjoy a cup of coffee on your own private balcony overlooking the Blue Ridge Mountains or end your evening with a bonfire in the outdoor fireplace. 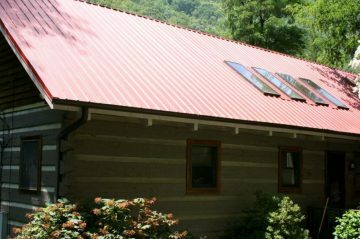 There is something for every kind of traveler to enjoy during a stay at our cabins in Chimney Rock. Each of our Chimney Rock, NC cabins are available for overnight rental and are the perfect vacation destination for families and larger groups looking for a secluded mountain getaway in Western North Carolina’s majestic Blue Ridge Mountains and the beautiful Hickory Nut Gorge! Located just steps from The Esmeralda Inn’s main building, the Honeymoon Cottage is the newest addition to our Esmeralda Inn Cabins. 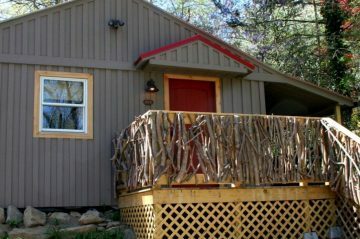 Chimney Rock River Cabin has 3 bedrooms and is a luxury rental for the discriminating vacationer.